Morale – Is it better to make the right next step or simply to take a step? 2. How do you feel about being laid off? 3. Could you have done anything about losing your job, or if you resigned, was there anything else you could have done to have improved the situation? 4. Are you mentally ‘ready’ to start another job? 5.What reason were you given/do you give for you losing or leaving your job? ii) Company specific situation e.g) loss of business. iii) Reasons specific to your performance? 6. If you were laid off for reasons attributed to your performance, do you think there is any justification in the reason given? If yes, do you think you could improve the areas cited? I am employed and feeling vulnerable. I am Currently Employed But Feel Extremely Vulnerable. What Can I Do To Reduce These Feelings? 2. What are the main reasons you are feeling vulnerable? i) With your client - Enhance the relationship by going ‘over and above’ what is expected of you and try to anticipate problems and provide solutions/ new ways for your clients to optimize their business. If the client is happy with you or is increasing its spending, this will certainly help your cause. ii) With the agency – Most businesses are ‘challenged’ and can carry no ‘extra baggage.’ Help the agency directly in terms of proactively being known to suggest ideas to make or save money and/or help morale/team build, so essential in the current climate. i) Your focus - Focus your effort and willingness to do all you can to take initiative to help your clients and company prosper. As much as possible, make yourself invaluable. ii) Your knowledge - Seek to develop it and to become an expert in some aspect of it. This makes you more valuable internally and more marketable externally. iii) Your options – Whilst you should be loyal to your employer, if market conditions become dire your employer would be prepared to lay you off. So, be aware of your career options and proactively start managing your brand. 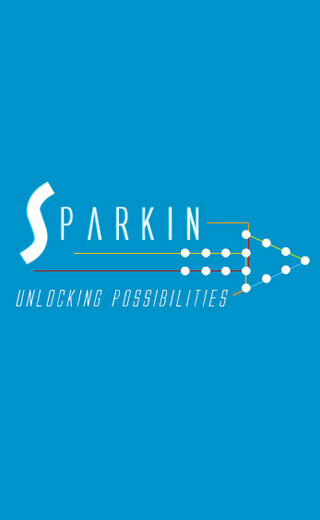 See SPARKIN COACHING. I am Currently Out of Work. What Should I Do to Give Myself Every Chance to Quickly Get the Next Job? 1. How long is it since you have been ‘in’ a job? This is a key question as the longer you have been out of work the more pertinent the questions that follow. 3. Sounds like a crazy question, particularly if you like many are worrying financially, but are you ready for the next challenge? - Emotionally? It’s really important to project a positive outlook. 4. You have no idea what you want to do. You have had previous work, so think about the questions in 5 below. You need to begin ‘working out’/‘constructing’ what might be a good job for you. The way to do this is to draw on your past work (and non-work) experiences and think about which skills you enjoy (and are proficient) in using. Once you have a list of skills, this will eliminate some jobs and ‘direct you’ to others. Do this and CONTACT SPARKIN and, skip to 7.
is that you have some sense as to what worked for you either in your job or the environment you worked in, possibly you have a sense of both. Clarify i) and ii) below and then skip to 7.
i) What aspects of your past work did you enjoy? ii) What type of environment do you want to work in? 6. It is great that you know what you want and you have a specific objective/brief. More important, if you have a goal that excites you, you will be more able to sustain the inevitable frustrations of the search for that new job opportunity. Now, make sure, do you have the following, then skip to 7.
iii) A resume that is not simply a chronological account of everything you have done? It should be a selective rendition of that experience. If you can distill your thoughts in writing, this will make them easier to succinctly articulate. 7. Area of greatest opportunity. - If you have a clear or better sense of what job you want next, read the press of that industry. See which companies are doing very well and very badly. Both present fertile opportunity. One is probably looking for extra talent whilst the other is looking for new ideas. 8. How to be inspiring? It is important for you to be interesting to potential contacts that can help you and potential employers that can hire you. During your job search, ensure that you give yourself rewards/breaks to do unrelated activities. 9. To get a job requires sending out resumes and making phone calls/sending emails, which lead to meetings. Which then lead to more meetings and even job offers. Your ultimate goal is ‘the’ job but remember the intermediate steps are crucial ‘mini’ successes. See them as such and you will maintain a positive mindset and have the endurance to succeed. In order to be clear about the optimal path forward for you it is really important to understand what might be the key problem/challenge facing you. 1. What exactly do you do? (Write this down) Let’s be clear about what the job is and what it entails. 4. What aspect/s of your job do you dislike? i) Skills you use or do not. ii) People you work with or do not. iii)Organisational aspects. iv) Client/s. 5. What specifically do you dislike? 6. Can you do anything about improving things? iv) Involvement of your boss. 7. Do you believe the part of your job/environment that is not working for you can be changed through discussion or organisational support? 10. Are you certain it is your job that you hate and not other factors at work? 12. How long have you felt this way? 13. Does your boss or HR or people that have influence know how you feel? 14. If it really is your job you hate, can you/would you pursue a different job in the same organization? I am bored. I need a new challenge. 1. Why are you bored? i) Not learning anything new. vi) You realize it is the wrong type of job. 2. How long have you felt this way? 3. Have you spoken with anyone internally, about the way you feel? Yes (go to 6), No (Speak with your boss, HR or someone that you can confide in/skip to 4). 4. What have you done internally to resolve the way you feel? 5. What was the point/reason that ultimately made you seek outside sources of help? 6. If you have spoken with someone, what have they done to help you alleviate your boredom or what have they advised you to do about it? 7. Are you bored with all aspects of your current role or certain parts? 8. If it is certain aspects of your current role, can you minimize them? 9. If it is not certain aspects of your role (it feels like it is everything), perhaps it is factors unrelated to your job that are causing you to feel bored? i) Managerial. - You are not being allowed to hone your skills or get a range of experiences in your chosen specialty, or perhaps there just is not the scope to give you the variety you need. ii) Organisational constraints. - As an example, a risk-averse culture might well reward tenure rather than ability. 10. If it is not managerial factors or organizational constraints that cause you to feel bored, it might be that you have learnt all you can where you are, that is you’ve gone as far as you can with the role in the current organization. Does your role simply bore you or do you think it could be exciting in a different setting? I hate the business I am in. 3. How long have you felt this strongly about the business you are in? When did unhappiness or discontentedness become true dislike for the business? 4. If you can identify specific parts of the business that frustrate you, have you tried actively to improve your situation? Have you attempted to adjust your current role/do something about the particular part of your work that makes you so unhappy whilst emphasizing aspects that you enjoy? 5. Do others understand/sympathize with the way that you feel or is it just you? 7. Do you know why your peers hate their jobs? 8. Do you know of anyone that hated their job but after taking some action subsequently felt better about matters? If so, have you talked with them? 9. Might it be the company that you and your colleagues are unhappy with and not necessarily the industry? If others feel the same way as you but work in different parts of the business, might the issue be broader or company-wide? 1. So, you think you deserve more money than you are currently paid. Why? 5. If you had a poor review why do you think you deserve more money? 6. Do you think or know you do a good job? If so, how? 7. When thinking about salary, are you taking into account other benefits that the company provides that other companies might not? Yes (skip to 9) No - Make an inventory of the benefits the organisation provides. 8. Why has it been so long since the last review? Is it so long? 9. Why is not the company rewarding you even though you’re performing? 10. Do you know how you are paid compared to your peers? 11. Is the company you work for known to be less generous with compensation or is the discipline you work low paid/low paid where you work? 12. In what form do you need to receive additional income? Does it have to be a guaranteed monthly increase or could it be incentivised or given in some other form such as stock? If you like where you work, flexible pay may be a potential way to gain additional income. 13. Do you want or ‘need’ more money/wealth? Need (skip to 14), Want - if you want more money, you have time to construct a plan to get it. You should think carefully about not only the other benefits you have as part of your overall package but also think about how much you enjoy your current role and company. 14. If you need more money, be clear to yourself why and how much do you need to get? 15. What timeframe will you give yourself to bring the additional income about? ii) More chance to influence decisions and outcomes. iii) More chance to learn. 2. Of the above reasons for seeking additional formal responsibility, which single reason is most important? 4. Why have not you been given the degree of responsibility that you seek? ii) Client challenges affect your perceived performance. iii) Company/Organisation is conservative/Not meritocratic. iv) Lack of experience given as the reason. v) Lack of education given as the reason. vi) Poor performance cited as the reason. vii) Lack of opportunity to provide the responsibility you seek. 6. Why do you believe you should be given more responsibility than you have? i) Because you disagree with the reason given for not giving you responsibility. 7. Can you take initiative to seek formal additional responsibility or informally go about helping others as a means to winning support for additional formal responsibility? 8. Do you believe you can do what’s needed to get the additional responsibility you seek with your employer at some definable point in time? 9. If you feel you have performed and have much more to offer, might you ask for additional responsibility? However, be clear about what you are asking for. I want an environment that respects what I do. 1. What exactly are you experiencing? iv) Cultural factors - people from your discipline are just not listened to/valued as much as people from other departments/functions. 2. Do you feel it’s possible that it might be you rather than your discipline/department/skill-set that is being penalized? 3. If you feel that part of what you’re experiencing is down to you and not the department and how it is treated, what initiative could you take to improve your personal situation? i) Talk to peers/your boss/personnel/general management. ii) Add to your skills. iv) Prove yourself - take initiative to proactively solve problems others cannot solve. v) Mentor - request or find yourself someone to act as a sounding board for you. 4. How long have you felt this way/detected that there is an issue? 5. What have you done to raise awareness concerning the issue internally? 6. If others are now aware of the issue, has there been any positive change made or suggestion that change will happen? 7. In your opinion, is what you are experiencing something that can be changed given the leadership and/or culture of the organization? I want to see what else is out there. i) Belief that it makes sense to be aware of what else is possible? ii) Unhappiness with all or certain parts of the current role or organisation or both? iii) Unhappiness with one aspect of your job/organisation. 4. Have you considered clarifying what core skills you possess/enjoy using? i) To see what else you could do. ii) To see whether you could get a greater challenge with more responsibility. iii) To see whether you could make more money. ii) Management/The way the organisation is run. 8. Do you know this to be a fact, ‘that there is nowhere for you to go where you are', at least at the moment? 9. Why do you believe that there is no opportunity for progression? i) You have been told this. ii) You ‘know’ that there are no roles. iii) You believe that you have insufficient skills or lack of sufficient experience? 10. Specifically, have you discussed your desire for progression with your boss or with HR? 11. Would you consider a related or unrelated role with your current employer, which nevertheless utilizes the same skill-sets that you enjoy using? 1. Is it your boss that you hate or are some other factors at work causing you to feel this way? 2. Why do you hate your boss? How are you being treated? iii) By an abusive or aggressive boss/management. iv) In an inconsiderate manner. v) He/she/they are making my life intolerable. vi) He/she/they are being unfair. vii) He/she/they favor someone else. viii) He/she/they cannot manage people/me. 3. How long have you been treated like this? 4. How long have you been feeling this way? 7. Is it just you being treated like this or are there others? 8. If others also feel negatively about the same person, do they feel the same way for the same or for different reasons? 9. If it is to your knowledge ‘just’ you being treated like this, if you were to apportion responsibility, how much is due to you and how much is due to your boss? 10. Is there anything you believe you can do to change the way your boss is treating you? 11. Aside from the adverse treatment by your boss, do you enjoy your work, work environment, working with your colleagues and/or with your clients (if relevant)? If you enjoy everything else about your work situation there is a more compelling reason to try and improve the situation with your boss.